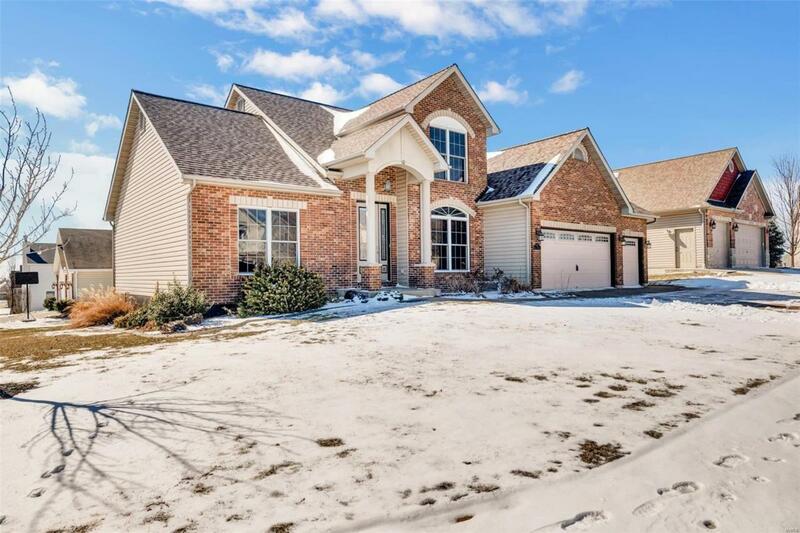 You'll want to make this beautiful 11/2 story your new home! 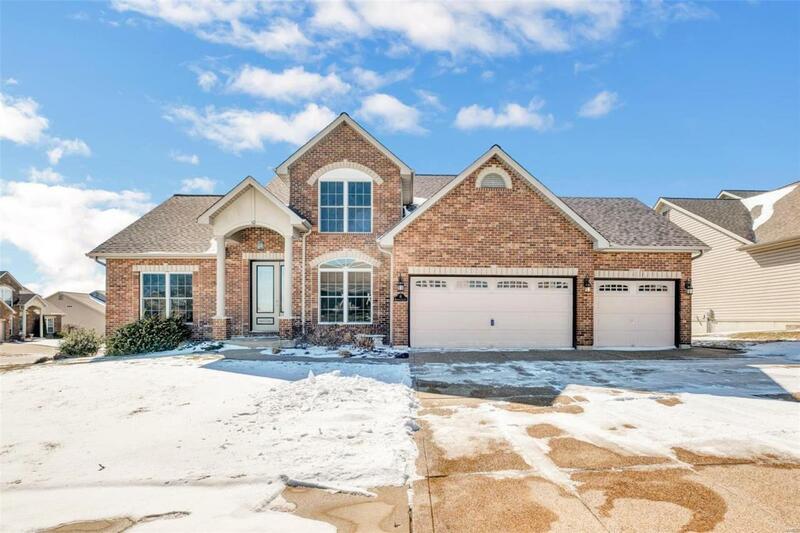 It has great curb appeal with a brick/stone exterior, aggregate driveway, irrigation system, brick mailbox, all on large culdesac corner lot. 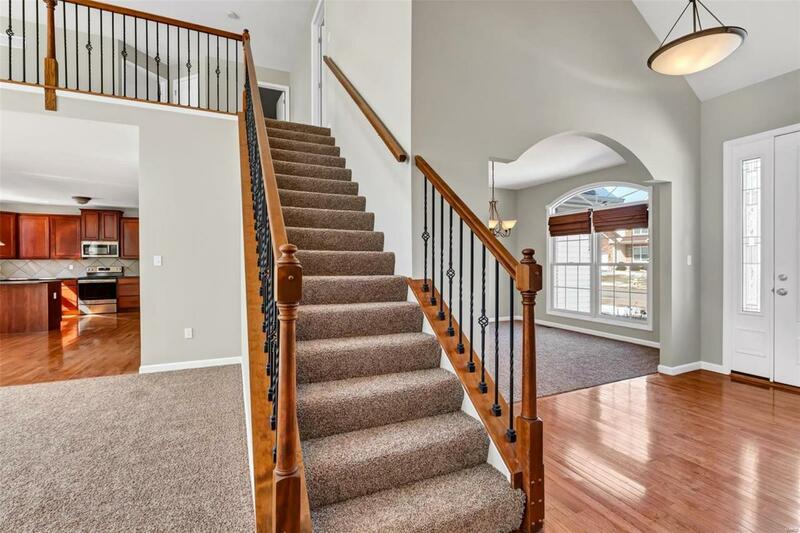 Open the 8' tall entry door & step into the vaulted foyer & a light & bright interior. The spacious dining room is to your right. 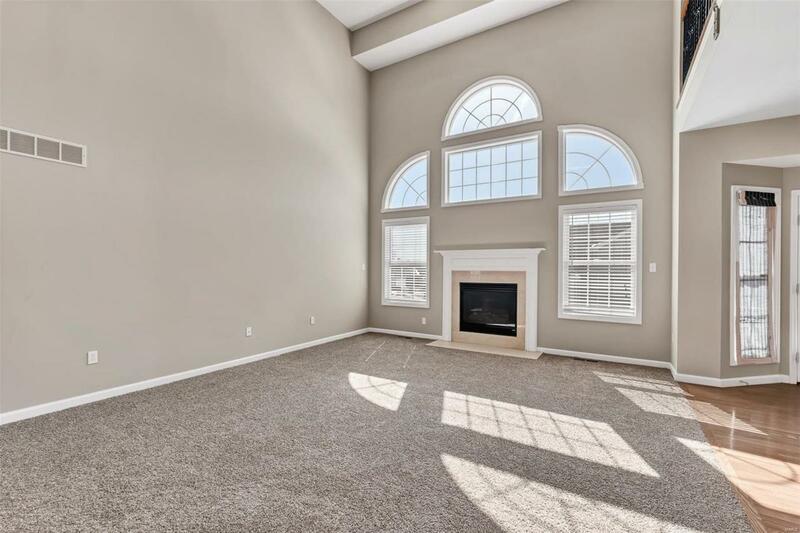 Looking straight ahead is the 2 story great room w/a wall of windows & a gas fireplace. The breakfast room has a bay area that opens to a large patio. The kitchen is a cooks delight with it's custom staggered cabinets. The main floor MBR suite has a coffered ceiling, large walk-in closet & the MB has a double sink vanity & corner garden tub. There is a MFL and 1/2 bath. An open stairway with wrought iron spindles leads to the open loft area, 2 bedrooms & a full bath. Basement is a look-out with many windows. New carpet and freshly painted. Don't forget the 3 car garage. Easy access to 70, 364 & 40.